October | 2015 | Live Healthy S.C. In honor of National Breast Cancer Awareness Month, DHEC’s Mary Bright is sharing her story about her fight against the disease. I’m sure some people would scoff when I say I’m one of the lucky ones but you’d probably have to know my story to understand why. I have cancer; specifically, Stage II Invasive Ductal Metastatic Breast Cancer. I know. When I first heard that I had no idea what it meant either. When I first found out, I couldn’t breathe. When the doctor called me with the results of the biopsy, I was still telling myself the lump I had found was nothing. Before that phone call, I had almost convinced myself that the second lump my Primary Care Physician found was a mistake too. I told myself that we were both being overly cautious after a relative had been diagnosed with multiple cancers six months prior. The next day, I checked myself for lumps in my breast. I found nothing and told myself, “I’m only 40 years old. I’m okay.” I used to consider myself a careful person. I usually checked myself every month but once in a while I would miss a month. When I did, I would tell myself that I was fine because I was too young to worry. This wasn’t something women my age needed to worry about yet. I checked again in December and found nothing… then, life got in the way. Three months went by while I helped my husband through major shoulder surgery. I came home from work one day last March and settled onto the couch to relax after work. We have three small dogs and usually the moment we sit down, they are in our laps. 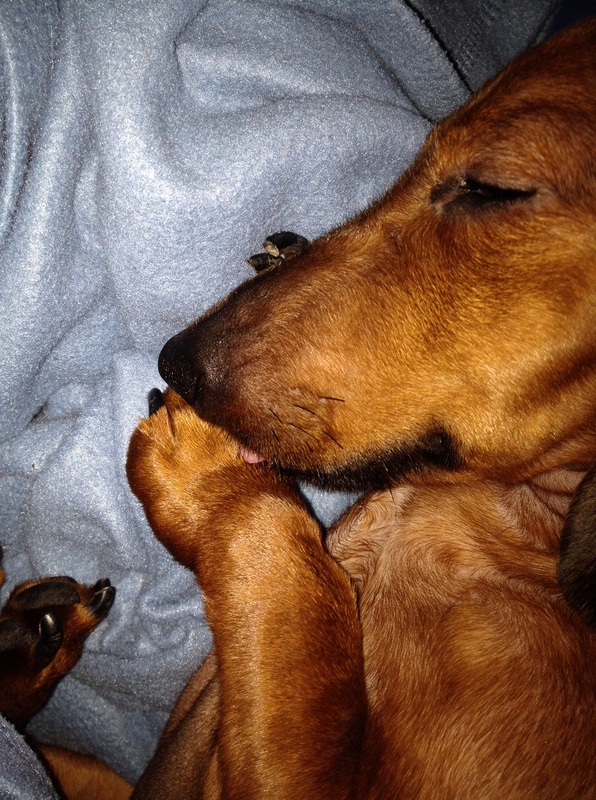 Our smallest is a mini-dachshund named Shae. That day Shae wouldn’t hop up. She sat in the floor staring. I called to her again and patted my lap. Again, nothing… She just stared at me. After a moment, Shae leapt off the floor and landed on the right side of my chest. Immediately, pain shot up and down my body. My first thought was that she had a broken nail and had gouged my skin when she jumped. I scooped her up and handed her to my husband. I began feeling around for what I expected to be a scratch and there it was… the lump… and it was big. Two days later, I was in with Dr. Brian Cline, my primary care physician, explaining what happened. He told me we would check everything out. He said, hopefully, he’d be able to tell me that the lump was nothing. The moment Dr. Cline pressed down, his whole demeanor changed. He got very serious and said, “I can’t tell you this is nothing.” He checked the right side and there it was; another lump, about the side of a marble, just below my armpit. A quick and nearly painless mammogram and ultrasound pointed to the worst case scenario so the doctor ordered a biopsy while I was still on the table. 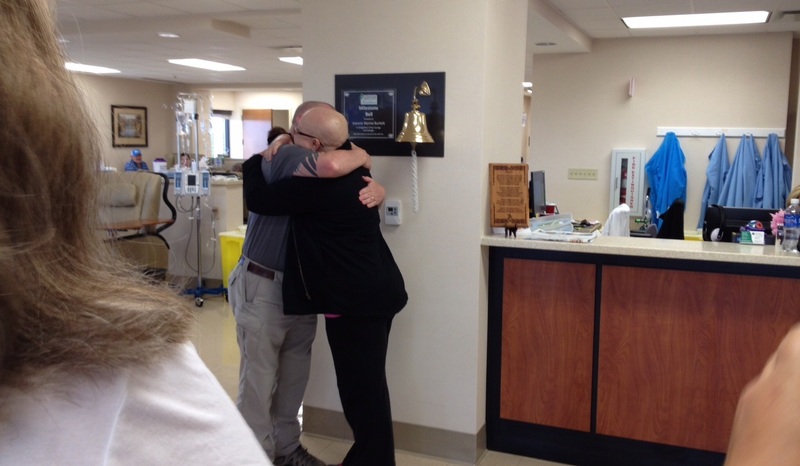 Dr. Tommy Cupples called with the results the next day; positive for carcinoma… every sample. Stage II Invasive Ductal Metastatic Breast Cancer… two lumps, one in my right breast and one in a right lymph node. But what did it mean? Thankfully, Dr. Wells cut to the chase. It was curable and he already had a plan: eight sessions of chemo, surgery and seven weeks of radiation. It sounded like a lot. It sounded like too much. Dr. Wells said the lumps were big; the one in my breast measured three cm high and five cm long. It was nearly the size of a grapefruit wedge. The one in my lymph node was like a small marble. He wanted to attack the cancer aggressively because of my age. I was pretty young for that kind of diagnosis. He also needed to make sure it wasn’t anywhere else. Suddenly, my life was in fast forward. The next day, Friday, was a full body MRI; the day after was a PET scan. Two days later was more than 10 hours in various doctor’s offices; a root canal I was avoiding, a surgical consult and another oncology visit. I had to have the root canal to close off any open pathways for infection. Chemo would require that I minimize any chance of allowing bacteria to make its way into my body. Two days after all that, I had surgery to place a quarter-sized port in my chest so the chemotherapy drugs wouldn’t destroy my veins. It was an unimaginably difficult week and we had barely begun. Sixteen painful weeks followed; weeks where my white blood cell count dropped down to 100, causing me to be admitted to the oncology ward, weeks where the pain and exhaustion were too much for me to even get out of bed, weeks where the skin on my hands and feet came off in sheets. But I made it through that and then through surgery and now radiation. Thanks to little Shae, we found the lumps while I was still curable. I met so many people along the way who were so much worse off; those in constant pain suffering from terminal cases, those in wheel chairs and using walkers and canes to get around. 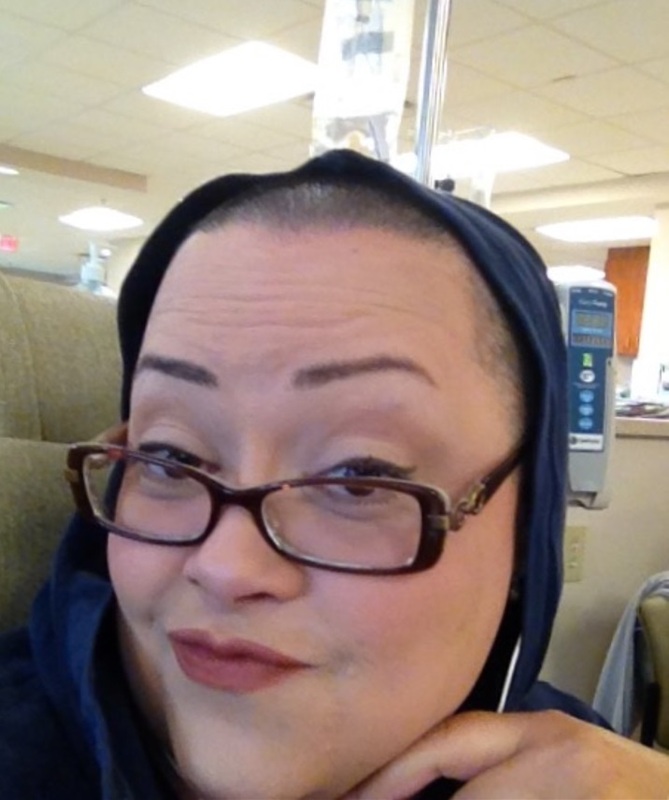 A week before I began chemo, while still upset and stressed about what chemo would mean to me; I met a stranger who told that she’d “been going through chemo for two years and was still here.” It was right then that I realized – with only eight sessions of chemo, I had nothing to complain about. I had the best doctors and nurses I could have hoped for. From my primary care physician, Dr. Brian Cline, to my oncologist, Dr. James Wells, to my radiological oncologist, Dr. Quillin Davis, and all the other doctors, nurses and techs in between, I was treated like family. They got to know me on a personal level; I was not just my symptoms or my disease. I was a person they cared for as if I were family. They kept me smiling and hopeful at every step. I was granted time off when I needed it. My co-workers and friends who worked for state agencies and even perfect strangers allowed me to take time off to heal and get stronger. Because DHEC and other state government agencies participate in the Leave Pool program, leave donated from other state employees allowed me to go through the treatments, to heal and to stay strong. I was blessed enough to have insurance. Cancer treatment isn’t cheap; multiple surgeries, chemo drugs, medication, radiation therapy and I’m still facing five years of a daily medication called Tamoxifen that will help prevent my cancer from returning. But I have insurance and we’ve managed to pay off most of our bills. 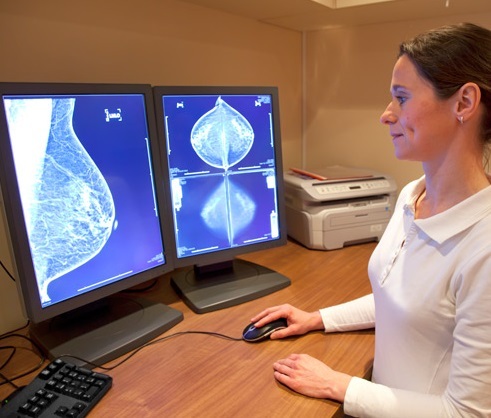 I’ve met so many women who told me they put off getting mammograms because they can’t afford it. They don’t have insurance or they don’t have enough to cover a mammogram. I’ve told every one of them… Don’t wait! There are resources like DHEC’s Best Chance Network that can provide services for men and women who qualify for free screenings. I have felt so much love and support from so many. My husband, my family, my friends… I know they would all be there for me through this terrible, terrible disease and treatment. What I didn’t know is how many people, complete strangers, who stop me in the street and offer me their prayers and well wishes. I am lucky. I am. I am lucky to still be here to tell each of you that you don’t have to go through what I did. Be careful. Check yourselves and check your loved ones. Do it early and often. It’s treatable and best to find it early. If you are diagnosed, don’t lose hope. Breast cancer isn’t an automatic death sentence. We can beat it… and if you’re diagnosed, remember that you are not alone. Mary Bright and WLTX 19 Anchor Darci Strickland who recently covered Mary’s story. Watch Mary’s story on WLTX here. This entry was posted in Chronic Disease, Community Health, Prevention and tagged breast cancer, cancer, DHEC, survivor, Women's health on October 21, 2015 by SC DHEC. When working on cleanup and rebuilding efforts after a natural disaster like the South Carolina floods of 2015, it is important to be aware of potential asbestos-containing materials that could pose a health risk if not handled properly. Disturbing materials made with asbestos during building repairs, renovations, or demolitions can release asbestos fibers or dust particles into the air allowing them to be ingested or inhaled. People who are exposed to large amounts of asbestos over a time, such as contractors, and do not follow safety standards have an increased chance of experiencing harmful health effects. Asbestos can contribute to the development of lung cancer or other respiratory diseases. Disease symptoms may take many years to develop after being exposed to asbestos. It is less common to find large quantities of asbestos in newer homes, but homes built before 1980 are the most likely to have asbestos containing materials. Asbestos has been used in a variety of building materials, such as: siding, ceiling and floor tiles, stucco, sheetrock, joint compound, ceiling texture (popcorn ceiling), caulking, construction mastic, insulation, and roofing materials. If you think your home contains asbestos, it is best to call a licensed professional to remove it. To find a list of licensed contractors that can perform asbestos abatement and demolition activities in South Carolina, click here. Keep the material wet at all times to help keep asbestos fibers from becoming airborne. A low pressure garden sprayer adjusted to “mist” works well. Avoid tearing, ripping, chipping, cutting, or grinding materials that may contain asbestos, such as those listed above. These actions increase the potential for asbestos fibers to be released. Do not throw or drop materials that may contain asbestos to the ground. Instead, lower them carefully to prevent breakage and release of fibers to the air. 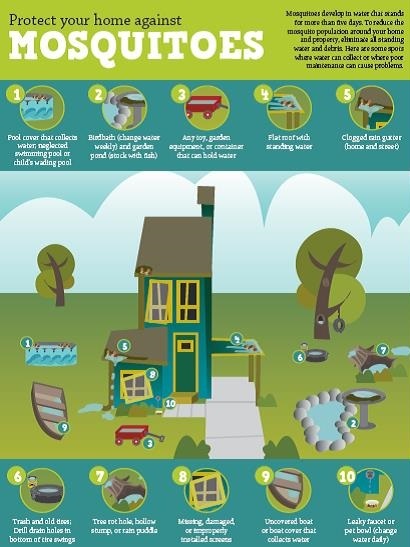 Please sort flood debris into categories according to the graphic below to help speed up the collection process. 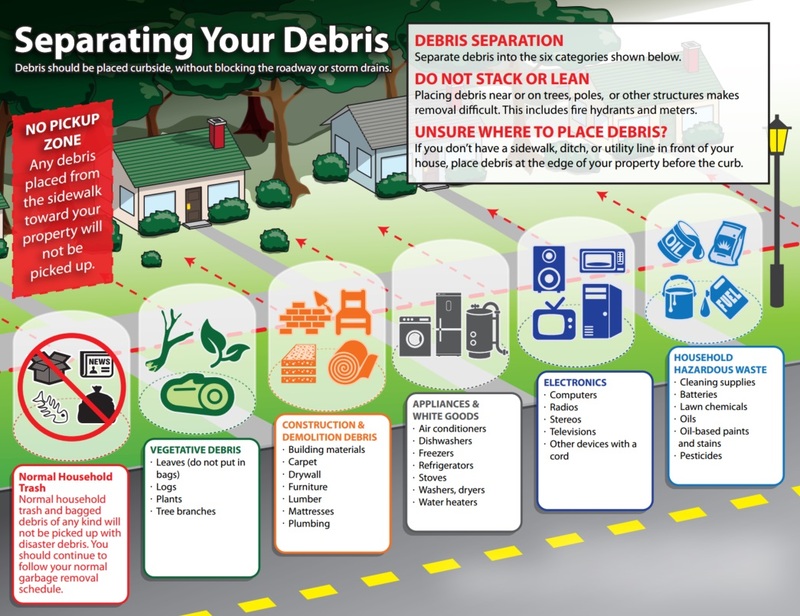 For any questions about debris pick-up or drop-off, please contact your local waste management program. For more information about asbestos, click here or call (803) 898-4289. This entry was posted in Emergency Preparedness and tagged Asbestos, cancer, Disaster recovery, flood, flooding, Home safety, Hurricanes, SCFloods on October 15, 2015 by SC DHEC.